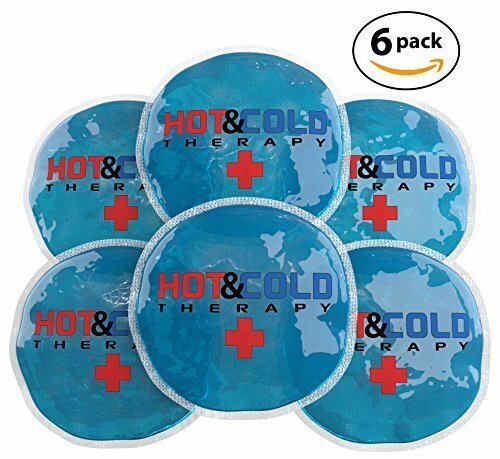 SAFE AND FLEXIBLE - Cloud Massage 6 piece reusable 4" therapy hot/cold packs are formulated with medical grade flexible safe gel. Featuring a BPA free non toxic padded enclosure. Filled with more higher quality gel, and triple sealed for security, Cloud Massage gel packs were voted best for home health care. EASY USE - Store in refrigerator or freezer and use as a small ice pack anytime. 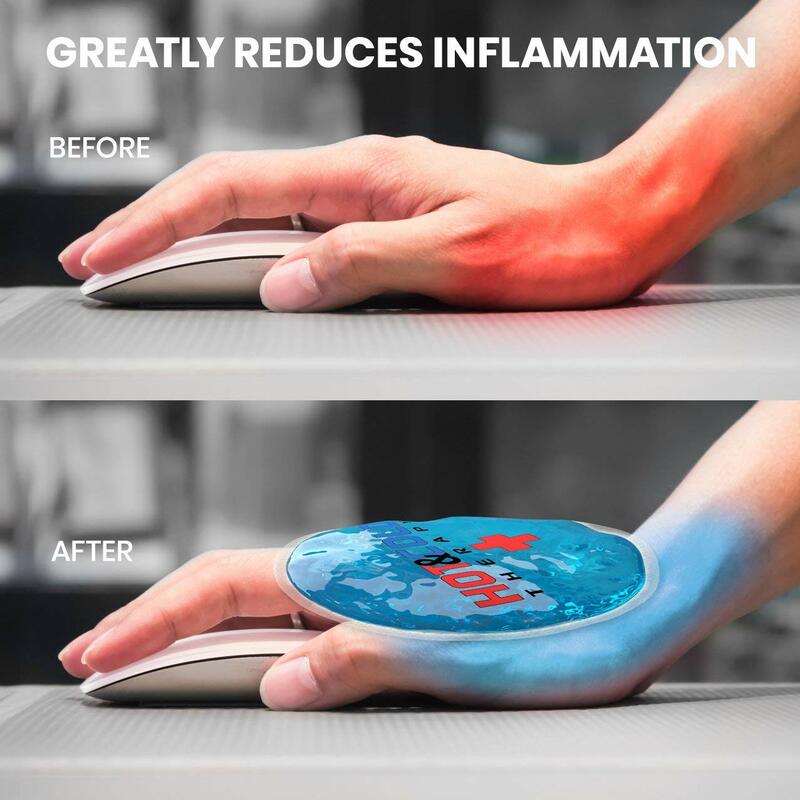 Hot packs microwavable (10 seconds) to soothe away aches and pain. Rotate between 6 gel packs for easy treatments at home or on the road. 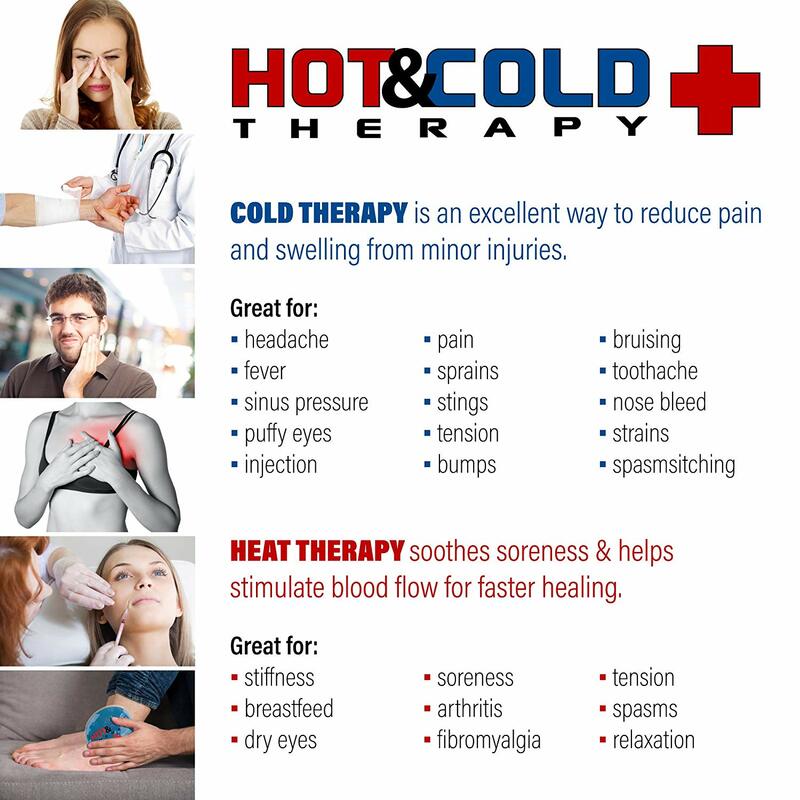 NATURAL TREATMENT - Increases blood flow or reduces inflammation quickly, which is ideal to decrease pain associated with toothaches, migraines, joint flare ups, breast feeding and much more. SWIMMING POOL EFFECT: Cloud Massage gel packs are known for their long lasting effects. After 10-20 minutes your body will become acclimated to the temperature change, just like the swimming pool temperature feeling warmer after jumping in. The gel packs will continue to keep your affected area cooler or warmer for nearly an hour, despite not noticing the temperature difference after 10-20 minutes. GUARANTEE : We want you to be happy with your CloudMassage gel packs , no matter what. We offer a 100% LIFETIME hassle free refund guarantee . Simply return it for a full refund (even used). Add one to your cart now.